Covering some 205,000 square miles, the Appalachian mountain range holds breathtaking vistas, caverns and hidden waterfalls. Through the emerging technology of 360º video, you can navigate through various locations within this landscape and experience parts of the terrain within the five regions of Appalachia. To view the videos on a computer, open the website in Firefox or Chrome. Navigate the scene with mouse or arrows in the upper left corner. On mobile, open with the YouTube app, then turn the phone to view different angles of the scene. 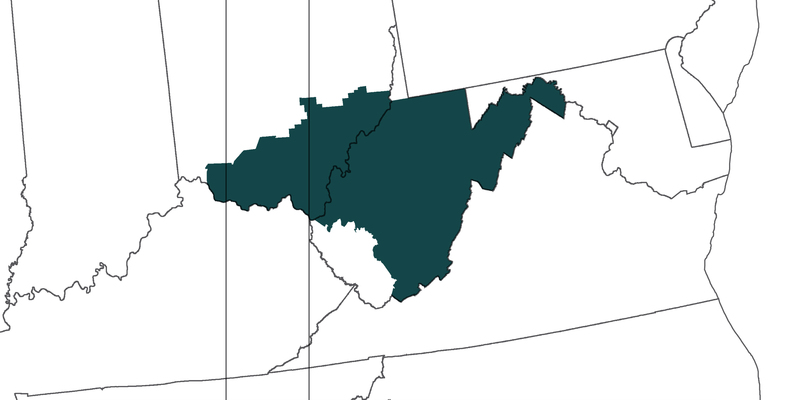 Parts of New York, Pennsylvania, Ohio, and West Virginia. Southern Ohio and the majority of West Virginia. Coopers Rock State Forest (W. Va)— Coopers Rock State Forest (W. Va)— Named after a fugitive who was a cooper by trade and found his new livelihood making barrels in the mountains to sell to the community. Kentucky and parts of West Virginia, Virginia and Tennessee. Ashland (Ky.)— Located along the Ohio River, Ashland dates back to the migration of the Poage family from the Shenandoah Valley in 1786. Berea (Ky.)— The Pinnacles in Berea is a hiking trail with vistas from six points. 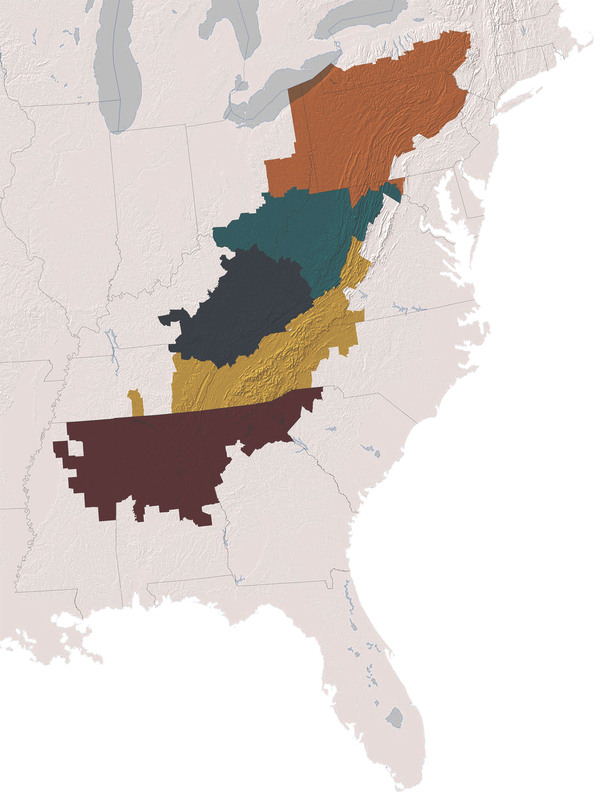 Parts of Tennessee, eastern Virginia, and eastern North Carolina. Look Out Mountain (Tenn.)— The name "Lookout Mountain" derives from the Cherokee term for "two mountains looking at each other." 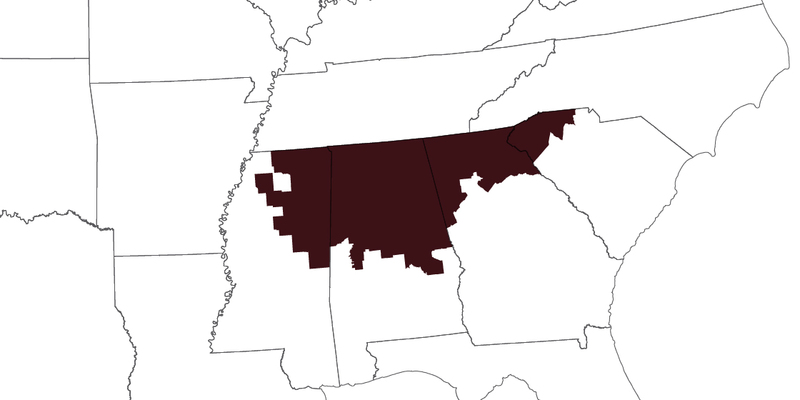 Parts of Mississippi, Alabama, Georgia and South Carolina.